Every month there is a blizzard of information contained in the emails that cross my desk on their way to AutomatedBuildings.com. Some of this information is not in the form of any type of content we can publish but I feel I should share with you these snippets, blog bits, and url links that are about to fall off my desktop. 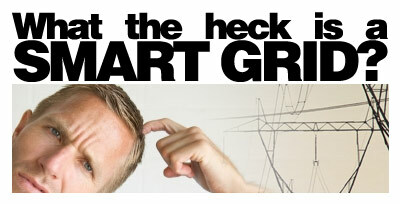 What the heck is a Smart Grid? Nowadays we have several issues to face that are causing concern to humanity in general and the western world specifically. I don't think I need to repeat them here but basically they are environmental as well as geopolitical in nature. Hence, the old coal or oil burning power plant needs to be phased out and we must become much more efficient at generating and delivering electricity to end users or the costs become extraordinary over time. Further, it is possible to save 4 to 5% on energy for every degree you turn up your data center’s thermostat. Often, data center managers leave their AC units running at full blast without managing the hot and cold aisles, or bypass airflow. With careful management of these factors, IT managers can safely turn the thermostat up a few degrees without any effect on their equipment. How do vendors move data from intelligent devices to the link layer and then up to the application layer? The short answer is vendors are using Web services and Internet connections, with various combinations of open protocols, standards and proprietary solutions. 2010 has launched with many people committing to improved "planning" related to Digital Signage/Digital Out-of-Home (DS/DOOH) use and supply. Live now: Pranav Mistry's SixthSense demo -- and an amazing announcement.